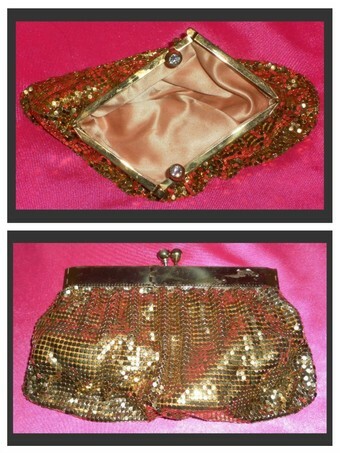 Here I have a darling gold mesh purse made by an unknown maker, no markings to speak of. 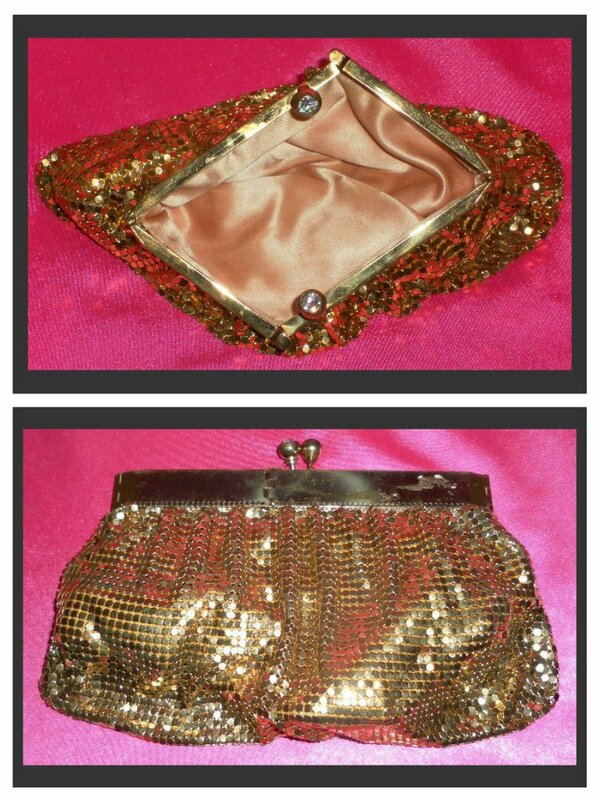 It has an interesting opening at the top, with a kiss lock closure, topped off with rhinestones on the lock. I don't see any major issues here, it appears clean inside the beige/gold satin lining. The metal pieces on the top do have some light scratches and a few spots where it's tarnished. I do see a bit of glue from a sticker of some kind as well. I gave the metal a cursory cleaning, I will leave it up to the buyer to remove the glue. Overall, this is a really great clutch purse, I do love the way it opens.